Wayne Redding is President and Director of Property Operations for Vista Capital Management Group. Mr. Redding oversees six Regional Property Managers and Vista’s Compliance Department. Additionally, he has approval authority for Purchasing and Capital Programs. Prior to joining Vista Capital Management Group, Mr. Redding served as Regional Vice President at Ambling Companies. He also served as Regional Vice President with AIMCO, Insignia and Boston Financial Group. 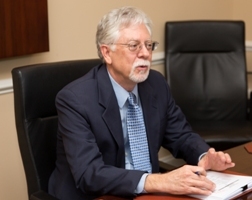 He has over 25 years experience in multi-family management with an emphasis on Tax Credit, Conventional, and Federally subsidized/Insured Properties. Mr. Redding holds a Bachelor of Science Degree from the University of North Carolina at Charlotte. He is a Certified Property Manager (CPM), awarded by the Institute of Real Estate Management (IREM); a Housing Credit Certified Professional (HCCP), awarded by the National Association of Home Builders (NAHB); and a licensed Real Estate Broker in South Carolina, North Carolina, and Virginia.